This Classic 3 Bedroom, 2 Bath home is Move in Ready. Updates Throughout! New Roof in 2018. New Water Heater 2018. Kitchen Updates include Granite Counter Tops, Tile Backsplash, and New Stainless Appliances. Updated Bathrooms, Light Fixtures, and Moldings. Freshly Painted Throughout. HVAC replaced in 2009. Lots of Space in this Inviting Home with Roomy Living Room and a Large Den-Retreat that opens to the Deck. Corner Lot featuring a Large Fenced Back Yard with a Fire Pit. 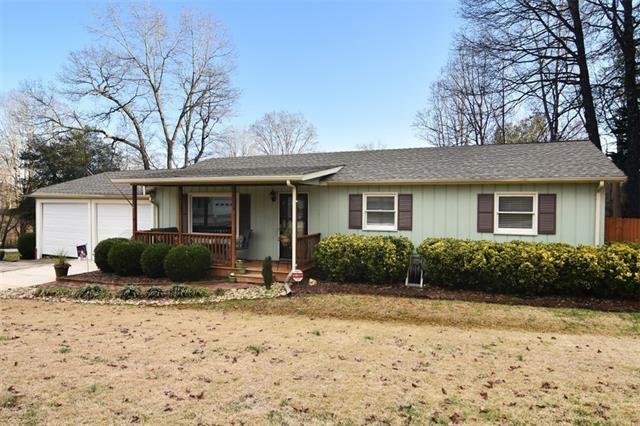 Located on a quiet cul-de-sac convenient to Hickory, Conover and I-40. No City Taxes.